Putler now filters the KPIs and charts based on the search keyword in Sales dashboard. The Refund button wouldn't show up in Sales and Transactions dashboard on Safari browser. 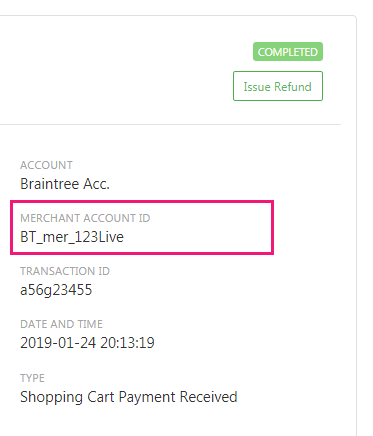 'Merchant Account ID' in Sales and Transactions details for Braintree. Merchant Account ID in Sales and Transactions details for Braintree. Your most important business metrics on one page. Spot seasonal trends, review team performance and keep pulse of your overall business. Go to Insights dashboard, and select Performance Comparison from the dropdown on top left. Switched back to list view for products. Our first insight - 'Holiday Season Trend' was out last week. We have updated the same and added more useful information to it. Better charts for subscription widgets. FIXED: Tooltip not showing for some data points. You can now copy email addresses of your customers from Recent Activities under 'Home dashboard' by clicking on their name. Surely Putler will start publishing changelogs very soon.